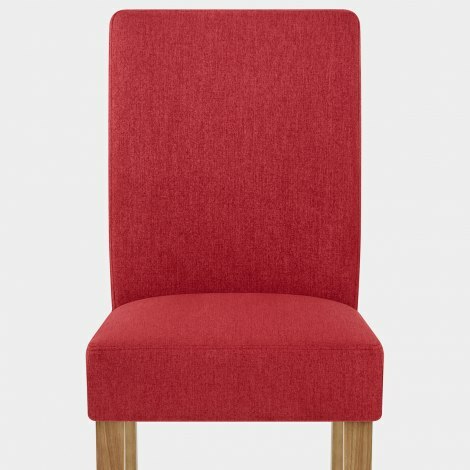 The Austin Dining Chair Red has an alluring design that combines modern and classic design in one stylish package. Delivering comfort, class, and charm straight to your kitchen or dining room, the Austin is a fantastic choice for your home. 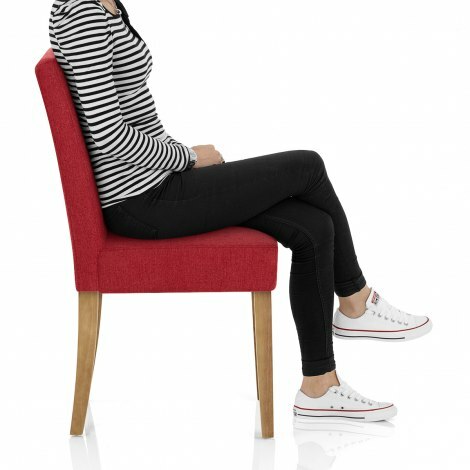 Incredibly comfortable, the seat has a sprung and belted frame and is accompanied by a tall supportive backrest. In a deep red fabric it is a divine item, enhanced by the textured diamond pattern that adds subtle and stylish detail. Four solid wood legs work to provide firm and solid foundations, whilst an oak finish blends rustic richness with sophistication. Suited to many surfaces, the legs are completed by protective floor plugs. 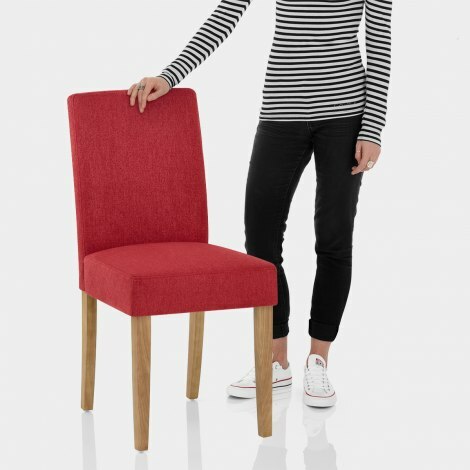 "Build quality of materials is high"
Chairs are lightweight but extremely sturdy. Build quality of materials is high. Difficultly of build is average - all fixings/instructions included. Resulting in solid and level chairs. All round very good product fir the price. Will be purchasing more.